Auto Ship & Earn + 167 Points What's this? 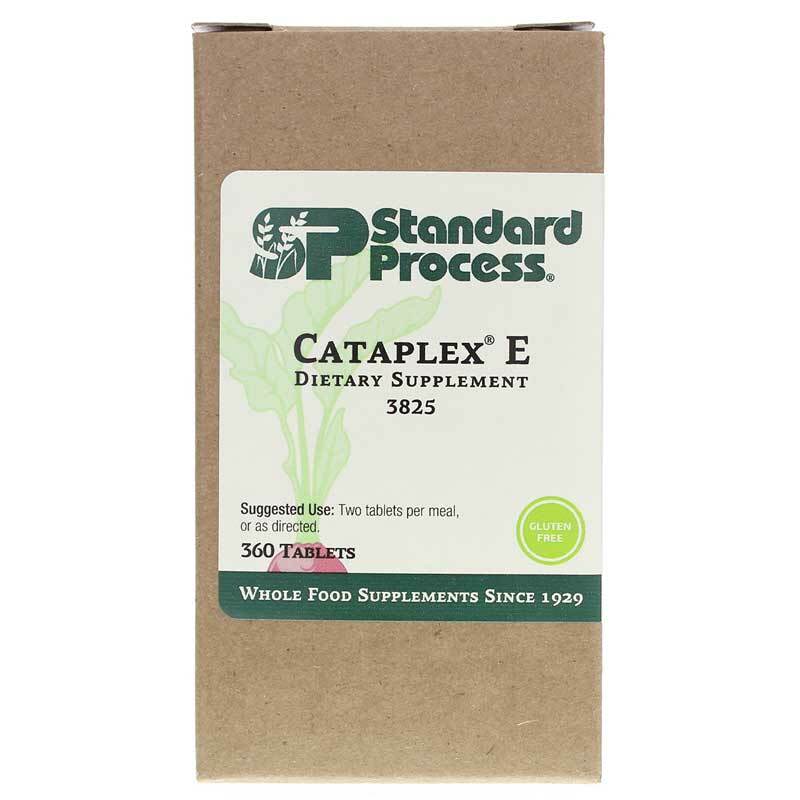 Cataplex E by Standard Process is a natural supplement that supports cells and cell processes, as well as healthy thyroid function. 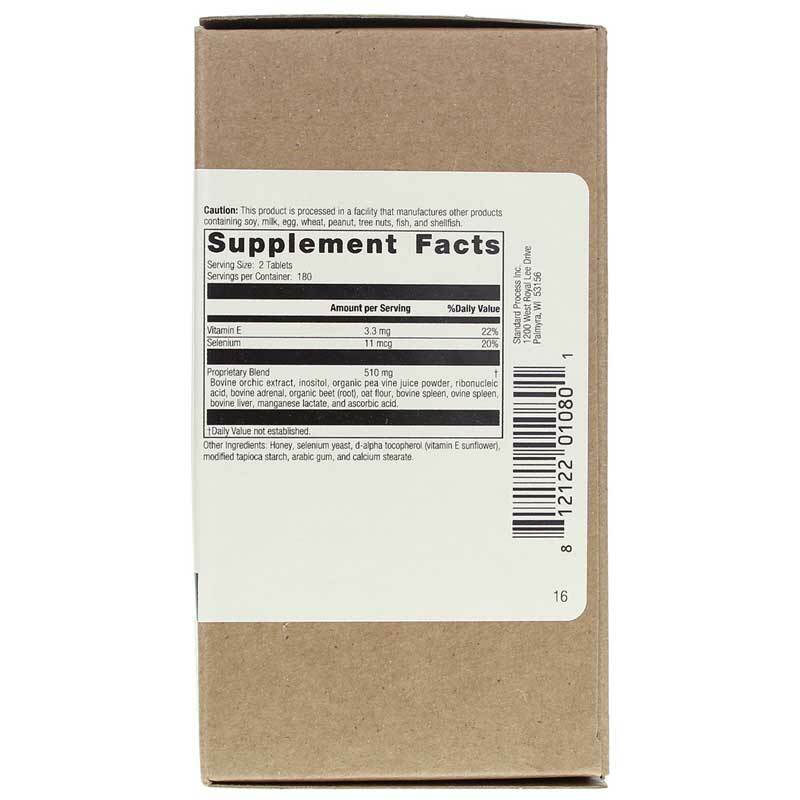 Other Ingredients: Honey, selenium yeast, vitamin E (sunflower), tapioca starch, arabic gum, and calcium stearate. Adults: Two tablets per meal, or as directed.